The messenger application that Facebook provided for android OS has made available so much functionalities which surpasses the functions of a mere messaging application. Today’s activity will be centered around observing some pretty nice stuff that Facebook Messenger can help you to do, in conjunction with a breakdown of how some of the annoying parts of it can be removed. 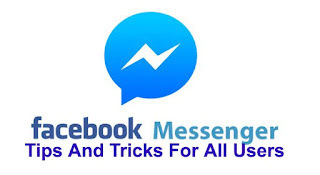 Presented to you below, is a handful of our greatest Facebook Messenger tricks and tips specially for Android devices. You must be quite familiar with this normal routine: a person probably initiates a group chat and asks if there are any interested buyers for their sofa (made of leather perhaps), and almost immediately you start receiving ceaseless notifications regarding upholstery. I present to you some tips on how to stop getting those notifications without exiting the group chat as a whole if ever you have been in that situation. Open the messenger application from Facebook. Tap and hold the particular conversation in your conversation tab (the conversation tab is usually found at the far left of the page) which you would like to mute. When you see “Mute Notifications”, tap on it. Next you have to choose how long you would like the notifications to be muted for. Tap on the “Settings” (the cog wheel icon) to open the menu. Tap on “Notifications and Sounds” when you see it. Tap on the toggle icon which is found at the page’s top to either turn the notifications Off or On. Then you have to choose how long you would like the notifications to be muted for. Facebook in the year 2016 through Facebook Messenger came up with one-to-one conversation which is encrypted and which is also known as “Secret Conversations.” In this, the Signal Protocol is being used and it has been designed specially for only you and just one other person. The first thing you will have to do is to activate “Secret Conversations” on the device which you’re using (this feature can only be active on just one device at a particular time). Having done this, the next thing is for you to click on the chat head icon which is found at the topmost right hand side of the page, and then scroll down to “Secret Conversation” and turn the toggle switch ON. Next you have to click on a chat with any one of your contacts (to open it) and then you will see a very small “i” icon at the top-right corner of the page. Click on it. Having done that, just click on “Secret Conversation”. Just as a quick reminder, the Secret Conversation feature does not satisfy the need of every user as the action of end-to-end encryption actually breaks some of the features in Messenger, like the one where you can be able to use it across different devices, to send stuff such as animated GIFs, and archiving previous chats. Are you aware that with Facebook Messenger you can make free calls? Maybe you already knew. But then, are you making use of this opportunity? All you have to do is to tap the call button icon (which is highlighted below) found inside any of your chat windows and immediately a call will be put through to the person who is in that particular chat. In the same vein, the messenger app from Facebook also makes provision for video calling. You can do this all by pressing the icon of video camera which is found at the topmost right of the window in order to invite a particular contact to a video chat. Are you aware that it is possible for you to take a picture directly from the Messenger’s keyboard? Do you see the tiny camera icon? Just tap on it in order to convert your keyboard area to a minimized viewfinder (that can equally be expanded). It gives you the liberty of switching from the front camera of your device to the one at the back, and also allows you to snap a quick picture using the vertical send button which is oddly positioned at the viewfinder’s middle. If you wish to select from the pictures that you took before, just tap on the small image icon right next to the camera icon. In any case that you ever get the “Miley Cyrus” kind of feeling and wish to send a very big thumbs up to a friend, all you have to do is to press and hold the “Like” button found on the chat window in order to increase the size of the thumb. If the “Like” button didn’t help you to do this, you don’t have to worry. Just tap on that tiny emoji button that is located at the far end of the text entry field, then tap on the sticker collection that was provided for you or if you want to express yourself further, you can go back to the emoji supported keyboard found on your device. There is a very easy way to let your friends know where you are. This way is by making use of the Facebook Messenger application. All you have to do is to tap on the + icon which is found at the left hand side of the text box. You will see the option of sending your location among the other options, as far as you have the Live Location enabled on your device. In the same way, if any of your friends have this particular feature also enabled, all you need do is to just tap on any message at all to call up the location that it was sent from. But if it turns out that you do not wish to make your location known or share it with anyone, just go to Settings in the Messenger’s app and uncheck the “location box”. The Messenger application from Facebook aids you in connecting with other people in that it provides you with suggestions of friends on the grounds of mutual connections. Adding a contact in Messenger is very much possible for you to do with being required to set up things by sending a new friend request. Launch Facebook Messenger and click on the people icon. To view the new friends which have been brought up for you as suggestions, just scroll down. Click on the add button if you wish to add the user into your Facebook Messenger contacts, or click on the hide button if you don’t want to see that suggestion. Having followed the above mentioned steps, you can now chat with your newly added contacts through Messenger. 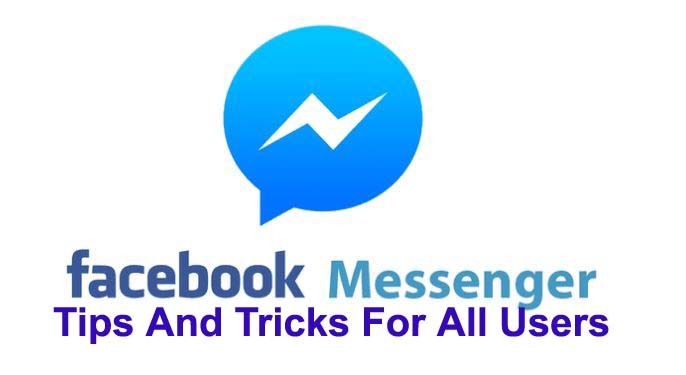 You should equally be able to view options that will let you gain access to message requests that was sent to you (from users that you have not communicated with before) and also be able to invite your phoneBook or Facebook contacts to start using Messenger. These options are seen in the buttons above. If you have a particular set of people that you chat with always, is it not better for you to skip the process of the application starting up every time and just add a shortcut to the group chat on your device’s home screen? To do this, you just have to navigate to the Groups tab. Here you can choose a group that is already in existence or you can create a new group and then click on the small menu button icon found at the topmost right corner of the Group tile. Now, just choose “Create shortcut” in order to cause that particular group chat’s shortcuts to be added to your device’s home screen. Having a group – any group at all – to arrive at a particular decision on a particular subject can really be frustrating. The message app from Facebook now lets one to pool their friends whenever they are all in a group chat. Locate the “+” icon which can be found at the bottom of the group chat window. Now choose “Polls” option window in order to create your own poll. Next thing to do is to add or put in the polling selections of your choice. Now, just relax and wait for the majority to help you decide. Launch a chat on Facebook Messenger and click on the smiley icon. Choose GIFs and put in search terms of your choice. Click on the particular image which you wish to send. The chosen GIF will materialize in that particular chat window and will play repeatedly (non-stop) by default. The trill of sharing stuff with friends is something that comes to all and at times there is just that amazing new song which is a “must share” to all your friends and loved ones to enjoy. Click on the “+” icon. Launch the extension of Spotify. This will launch the Spotify application inside Facebook Messenger, wherein you are granted the privilege of typing in either the name of the song, playlist or artist. Choose your preferred music. This chosen music would be sent to the contact of your choice automatically. Do you really need Snapchat? A “Story” feature was introduced last year by Instagram which is a social media site also owned by Facebook – which without any form of disputation resembled Snapchat an awful lot. In a bid to get in line with this innovation, Facebook Messenger launched “Messenger Day”. This feature called Messenger Day gives you the liberty of sharing updates of your day and you could share this with a few selected contacts or with all your friends. You shouldn’t actually be worried or troubled about choosing the best filter or the perfect angle because all the posts or updates will be visible for just 24 hours after which they will disappear. Having said that, you should know that you can actually do something in order to cause your posts to be unique by using the artsy selfie filters that were launched in December. You can start your “Day” by tapping the picture icon which is located at the bottom of your home screen window and then you start recording. Sending money through Facebook Messenger application is one of the numerous things that users now have the ability to do. In order to do this, the first thing to do is to configure it. Adding a card to the messaging app from Facebook requires you to locate and click on the Facebook icon which is found at the top of the app’s window. Next you proceed to Payments>Add New Debit Card. Having done this, the feature is now set to be used. In order to send funds through the application, click on the “+” icon and the you choose “Payment”. Next, choose the person whom you want the money sent to, put in the desired amount to be sent, and then you include your payment details. Facebook began to partner with taxi companies such as Lyft and Uber back in the year 2015 in order to provide users with the luxury of ordering a cab while still in the environment of the Messenger application on their mobile devices. To be able to use this feature, all you have to do is to tap on the tiny car symbol which is found at the screen’s bottom and then you get to choose the particular service you want to use. As we already know, this particular feature of using Facebook Messenger to ask for a ride is only available in those cities where taxi services are equally available. You haven’t used Lyft or Uber before? There is no problem. You have the liberty of signing up to get a new Lyft or Uber account inside the Messenger app within seconds and then you can start riding. It might interest you to know that Facebook is jumping headlong into what is known as the chatbotosphere. Bots that were manufactured by news bodies such as the Wall Street Journal or CNN, for instance, send news links onto your Facebook Messenger chats on the grounds of your queries or interests; there are some which even let you place orders for a thin directly through the Messenger app from Facebook. These orders might be for a bouquet of flowers or for pizza as the case might be. Do you wish to converse with an algorithm? Just launch the application, click on the lightning bolt icon which is found at the bottom-right of the page then you can either subscribe to timely updates or start to chat. To get a list of bots that are available, visit botlist.co. These bots are designed to meet all your needs as regarding information. Several games can be played on the Messenger app from Facebook by making use of the gamepad symbol found on the bottom menu. But what most users don’t know is that a secret game is hidden right inside the emoji. With this amazing feature, you can be able to play a basketball game while chatting. Even though this game is free, it is hidden. Here’s how it can be accessed. Immediately you send the emoji, just click on it and the game will start. That's all for facebook messenger app tools, tricks and tips one can actually have knowledge of. Also expect more facebook hacks and settings for smart users. Meanwhile, let us know your view via the comment section below and don't forget to share to friends. Thanks.